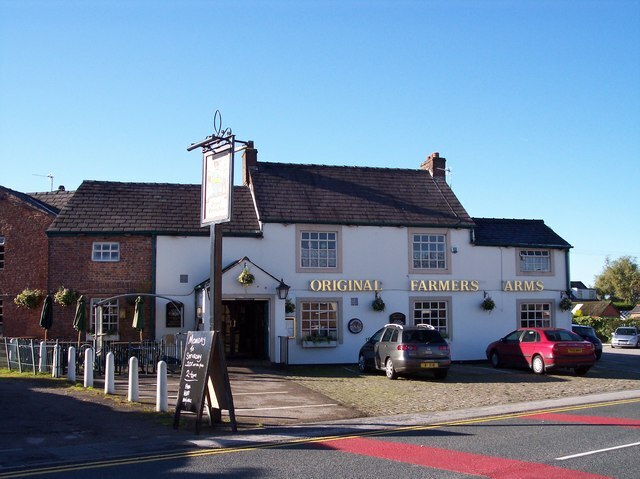 The Farmer's Arms is known today as the "Original Farmer's Arms" presumably to differentiate itself from the Farmer's Arms in nearby Heskin. 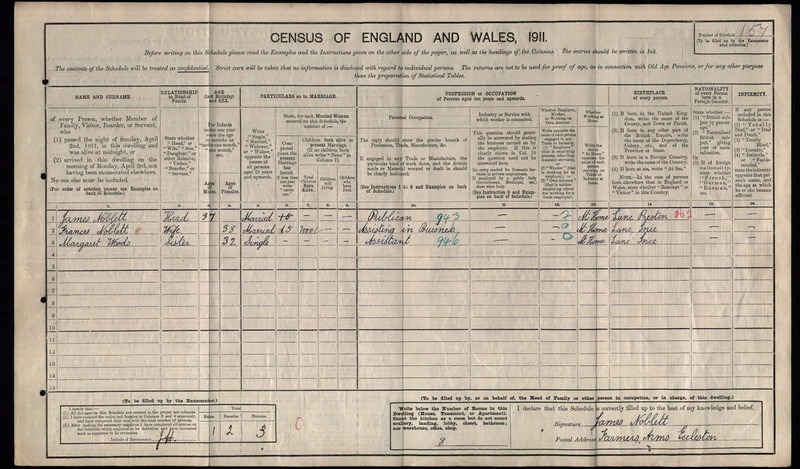 Listed landlords were Henry Duckworth (1861-1881), John Cliveley (1881-1891), William Henry Pass (1901), James Noblett (1911) and Lisa Griffin & Ian Hartley (2002-). 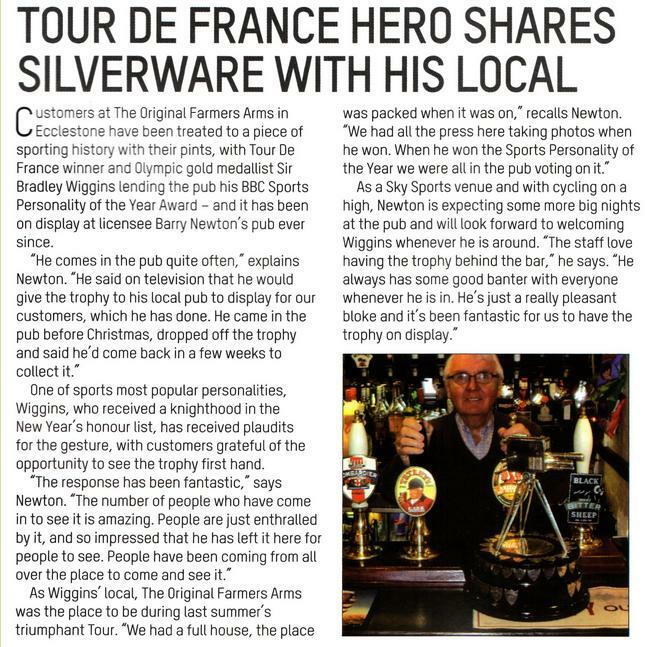 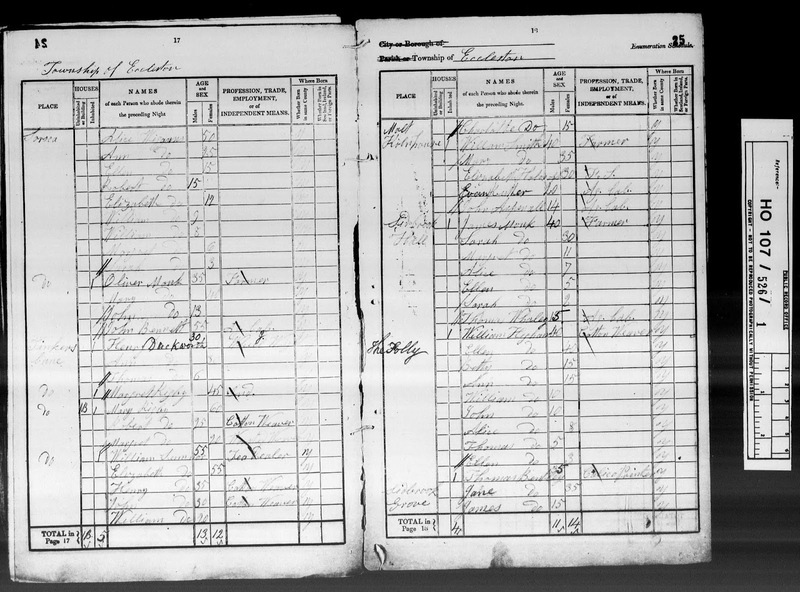 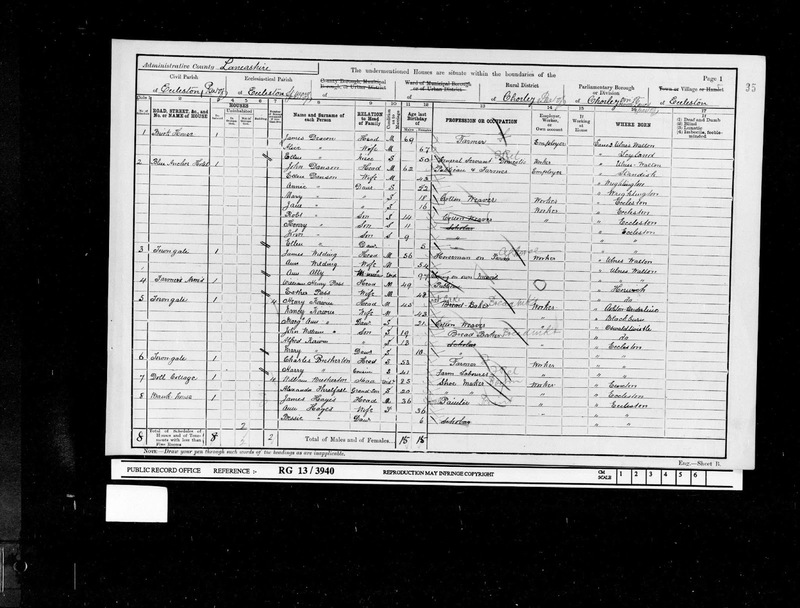 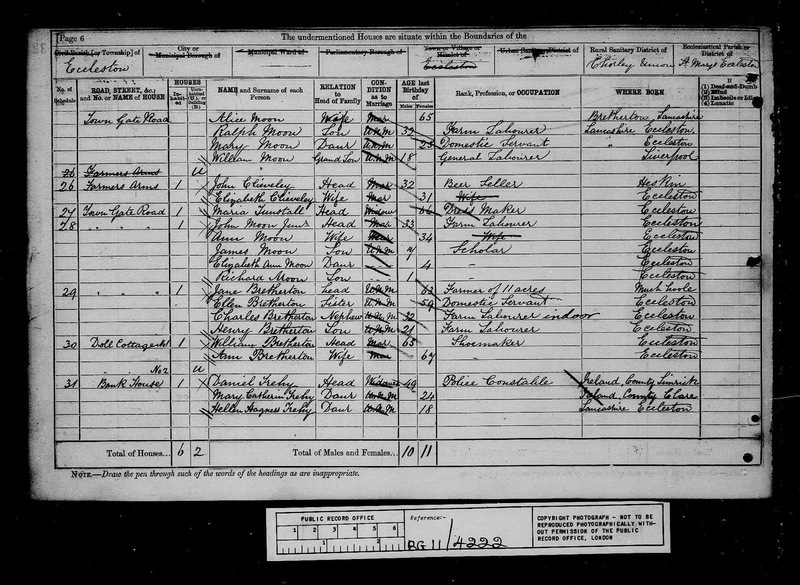 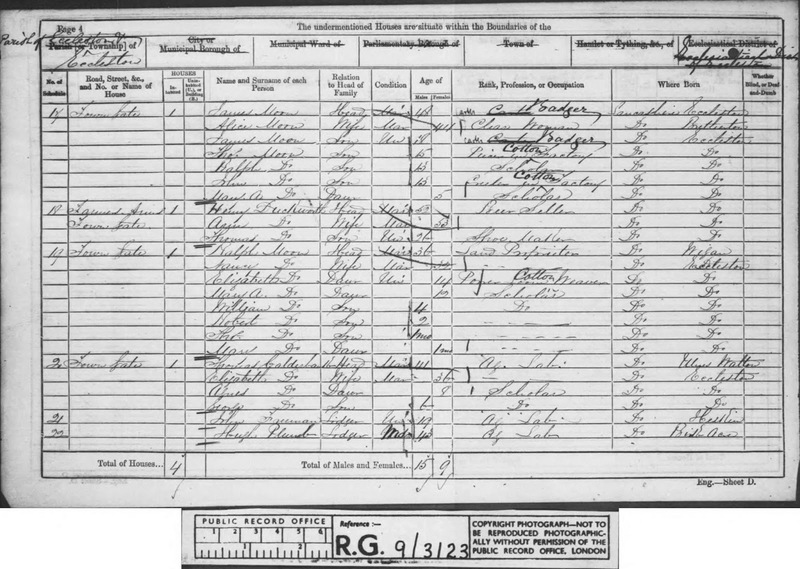 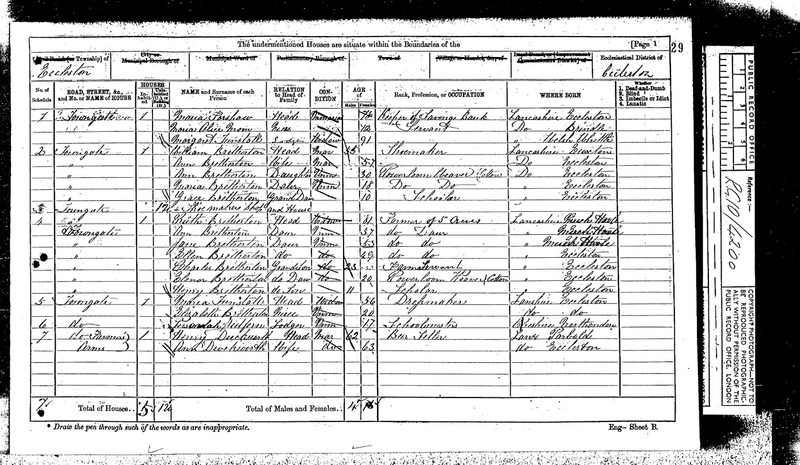 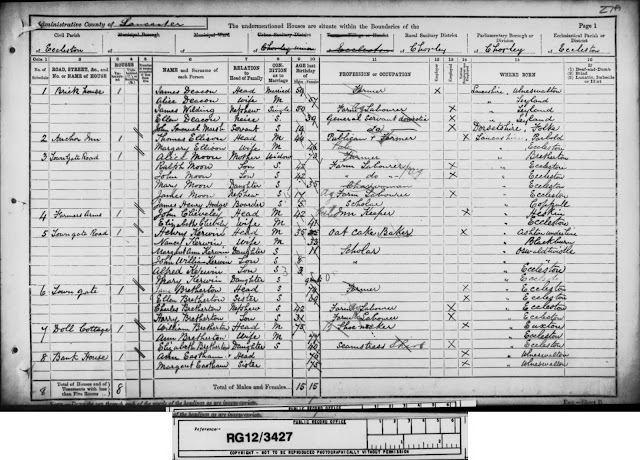 The first census record I can find for the pub is in 1861 when Henry Duckworth is shown as a Beer Seller. 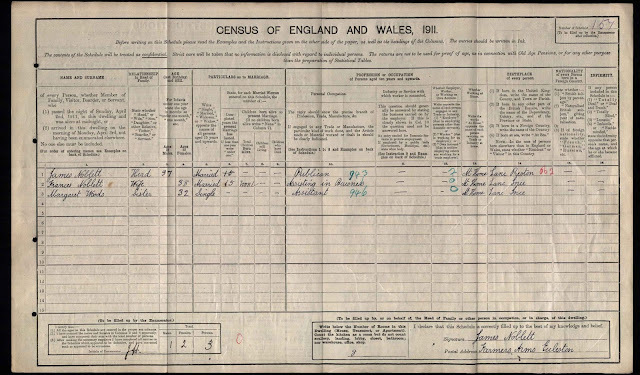 In the previous two census records of 1841 and 1851 he was working as a Wheelwright and living on Tinklers Lane in Eccleston, only a stone's throw from the Farmer's Arms.